Last updated June 2018. See Linked Profile for current updates. Govindarajan (Govind) Ramu is a Program Manager for End to End Closed Loop Learning at Google, California. Prior to this role, Ramu was a senior director, global quality management systems, at SunPower Corporation, a worldwide leader in solar technology headquartered in San Jose, California. Having responsibility for SunPower's Prevention-Simplification-Customer Satisfaction (PSC) initiative and global quality management systems, Ramu has come to think of the importance of quality in terms of an analogy: "Quality is to product as grammar is to language," he says. The PSC initiative encompasses design excellence and preventive systems, process simplification and standardization. Prior to this SunPower role, Ramu was senior quality manager and a Six Sigma Master Black Belt for JDS Uniphase Corporation, a worldwide leader in optical technology headquartered in Milipitas, California. As part of his duties at JDS Uniphase, Ramu supported DFx (Design for eXcellence) efforts and integration of a lean Six Sigma approach with various new product introductions. The importance of Six Sigma, he says, is that it enables more systematic and disciplined handling of business processes. As a result, process performance improvement and predictability increase. If a Six Sigma program is not immediately paying back, it should not be abruptly canceled. Senior management must evaluate the reason for delay in payback and realize that larger cultural changes may be the first benefits of Six Sigma. On the project level, Ramu recommends taking adequate time to lay the groundwork during the define phase. Specifically, he emphasizes that for a project to be successful, the team must define the problem statement and project parameters thoroughly, as well as obtain full-hearted buy-in for the project from senior management. The skill set required of a Six Sigma Black Belt is thus much broader than the methodology itself. Beyond the technical ability to perform advanced statistical applications, the Black Belt must have project management, risk management and basic accounting skills. Above all, says Ramu, "The Black Belt must be an effective change agent." In his past roles, Ramu worked as an engineer, quality manager and operations manager, performing quality functions in different manufacturing organizations in India, Malaysia, Thailand and Canada. Since 1985, his career has focused solely on quality, with specialization in engineering metrology and calibration during the early years. Always take the time to listen patiently to your customers, whether internal or external. Do not shy away from any possibility of a learning opportunity. Learning is a continual process. A licensed professional engineer in the province of Ontario, Canada, Ramu has a mechanical engineering degree from Bangalore University, India, and a certificate in elements of statistical quality control and operations research from the Indian Statistical Institute, Chennai. 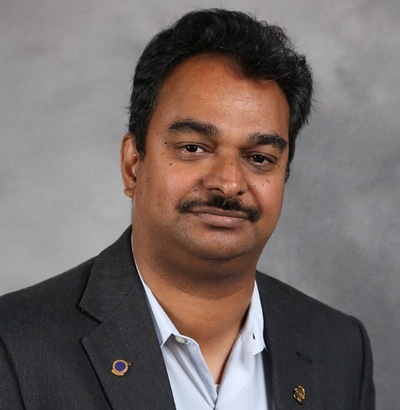 A member since 1998 and an ASQ Fellow, Ramu holds six ASQ certifications: quality manager, quality engineer, Six Sigma Black Belt, quality auditor, software quality engineer and reliability engineer. He is a certified lead assessor for ISO 9001, the chair of subcommittee 1 for the U.S. Technical Advisory Group (TAG) to Technical Committee (TC) 176 on quality management, a member of the ASC Z1 Subcommittee (Z1-Q), a member of the U.S. TAG to ISO/TC 69 (TAG 69) on statistics, and an expert on IEC TC 82 Working Group (WG) 2—Solar photovoltaic energy systems—Modules. Currently a member of the Silicon Valley Section, Ramu has served as treasurer and Chair for the ASQ Ottawa Valley Section, Canada, for which he also taught certification refresher courses. He has volunteered with ASQ’s Quality Press and Certification Offerings. As a core team member of ASQ India, he has also been supporting ASQ members’ networking efforts in India. Ramu has been a regular technical reviewer and session moderator for the ASQ World Conference on Quality and Improvement since 2012. Additionally, Ramu is a 2006, 2011, and 2012 Examiner for the California Awards for Performance Excellence (CAPE) and 2010 Examiner for the Malcolm Baldrige National Quality Award. Ramu has coauthored ASQ’s Certified Six Sigma Green Belt Handbook, now in its second edition, for which he received the ASQ Golden Quill Award in 2008 and 2015 and the ASQ Crosby Medal in 2017. He has authored ASQ's Certified Six Sigma Yellow Belt Handbook. He manages the LinkedIn Certified Six Sigma Green Belt Handbook Users group, Certified Six Sigma Yellow Belt Handbook Users group, and ASQ India (Members Only) group and responds to member questions and suggestions. He is also one of the major contributing authors for The Lean Certification Handbook. Also see his Quality for Life video, "Zero Defect Mentality." "After family and work, quality-related volunteering for ASQ takes the third important slot in my life," says Ramu. When time permits, he also enjoys watching Myth Busters and Jeopardy on television.